Many people who wish to improve the appearance of their smile benefit from cosmetic dentistry treatments. The dental bonding procedure is relatively simple and requires little preparation, making it a popular cosmetic dentistry treatment. Requiring only about 30 to 60 minutes per tooth, the dental bonding procedure can enhance the smile in a single appointment. Contact Redwood City, CA dentist Jean E. Barthman to find out if dental bonding treatment is right for you. In the meantime, read on to learn more about the dental bonding procedure. During dental bonding treatment, a tooth-colored, putty-like resin is used to mask dental flaws and improve the overall appearance of the smile. Dental bonding treatment is a painless procedure that generally doesn't require anesthesia. When undergoing dental bonding, one or more teeth may be treated to transform the smile. Treatment generally proceeds as follows. Dental bonding treatment begins with thoroughly cleaning the teeth and removing any areas of decay, if necessary. At this time, a shade guide will be used to match the composite resin to the natural color of the teeth or, if being used to whiten the teeth, a brighter shade of white may be chosen. Once the teeth are clean and the desired color of composite resin is determined, the teeth may be prepared for the bonding process. To prepare the teeth for dental bonding, a special solution is brushed onto the teeth. This liquid roughens the surface of the teeth to ensure adhesion of the bonding material to the teeth. After the surface of the teeth is prepared, the dental bonding resin is directly applied to the treated teeth. This putty-like resin is then molded and shaped to the desired size and appearance. Once the desired look is achieved, the resin is harden, or “cured,” using a special dental light. After the resin is fully hardened, it will be further trimmed, finely shaped, and polished to complete the treatment process. Ideal candidates for dental bonding should have relatively healthy gums and teeth. 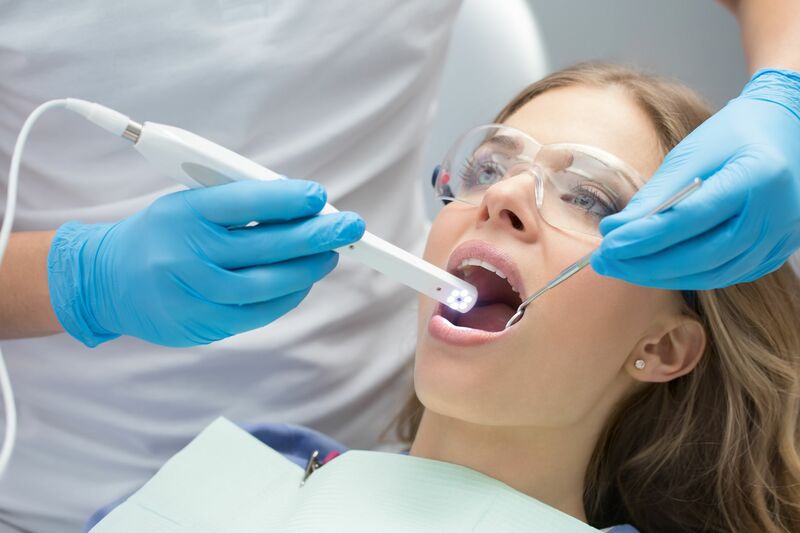 Candidates may suffer from one or more of the conditions discussed previously, such as tooth discoloration, gaps between the teeth, or minor dental chips. Dental bonding can transform the smile in a single, pain-free dental appointment. For more information about dental bonding, or to find out if you're a candidate, we invite you to schedule a consultation with Dr. Barthman at your earliest convenience.